Transitioning to high school, vocational training, college, or a job after graduation can be stressful and sometimes lonely. MLC’s Young Adult Services (YAS) gives members, ages 14-25, a place to feel academically, socially, and emotionally supported during their new venture. 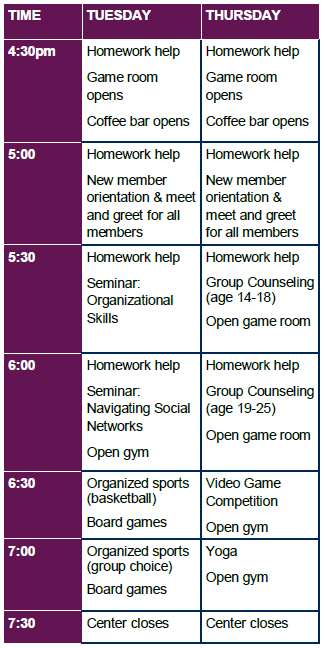 Come try out the program at our next Open House – Tuesday, April 9, 5:00-6:00pm. Monthly calendar will be emailed to members each month.